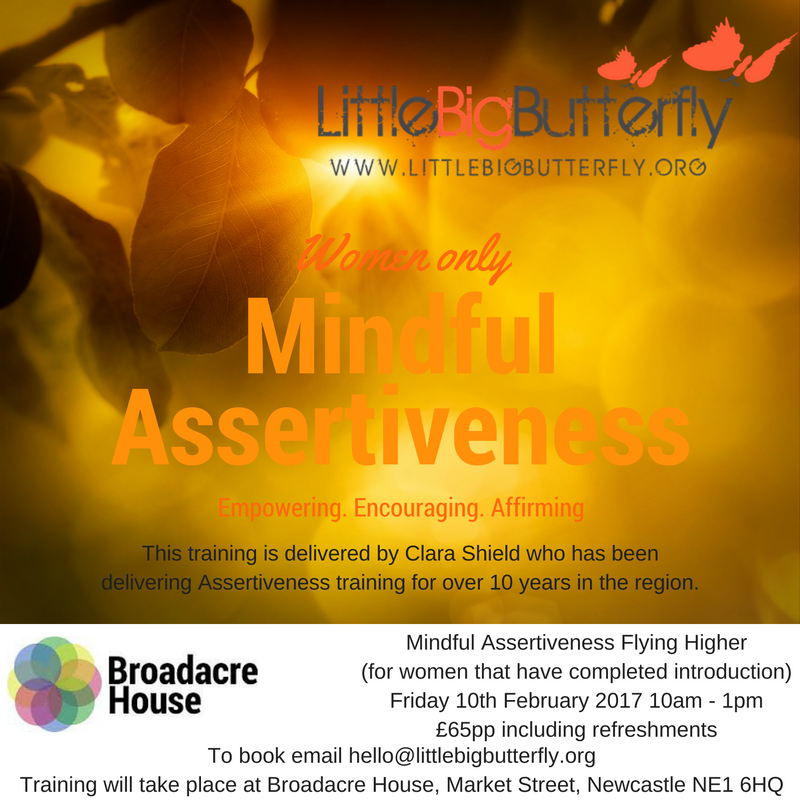 Little Big Butterfly’s Assertiveness Training course for women - Flying Higher, further explores reflection of difficult situations, dealing with criticism, handling our emotions and fostering compassion. Over a half day training, participants will gain a deeper knowledge of behaviour patterns and emotions, learn a new skill-set in dealing with criticism and understanding compassion in relation to our rights. This course is only available to those that have completed the Mindful Assertiveness for Women Introduction training.